Nonhle Ndala is a South African fitness trainer and reality star. She is a fitness trainer for the current season of Bootcamp Mzansi – Celebrity Edition and she was part of the reality show Diski Divas which airs on Mzansi Magic Channel 161. Nonhle was born on the 23rd of May 1983 in Heidelberg, South Africa. As of 2018, she is 35 years old. 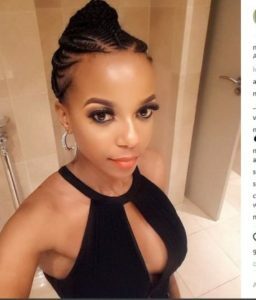 Nonhle is currently married to Andile Jali. Through the traditional Xhosa ceremony, she was welcomed into Andile’s family. She was paraded by Andile’s mother through the streets of their township. Nonhle together with her husband Andile Jali, have twins that were given birth to in June 2017. They are known as Andile Junior and Amarè. Nonhle Ndala was formerly married to Themba Msiza. Together they have a daughter named Aurelie who was born before their separation. Nonhle was 17 years old when she had her daughter, Aurelie.